NASA's Curiosity Rover on Mars, has photographed the two Martian moons passing one another. In the video made of the photos the larger moon Phobos can be seen passing in front of Deimos. I wonder what differences to Terran history and culture there might have been if Earth had two satellites and such a sight was known to humans. The Hubble telescope has found a new moon of Neptune, it's 14th (i must update my books on astronomy which lists Neptune as only having 2 moons!) Neptune's latest discovered moon is very small however, being just 12 miles in diameter. The new moon is currently called S/2004 N 1, which does not compare very well to the name of Neptune's largest moon Triton! A proper name will be chosen for the moon however and will likely be drawn from Greek and Roman mythology. The moon is so dim that Voyager 2 did not see it when it made its flypast of the planet in 1989. This is due to it having a very dark surface like some of its fellow Neptunian moons. For the first time the colour of a planet outside of our solar system has been measured, and its blue! HD 189733 b is a planet 63 light years away, orbiting the star HD 189733. The planet is Jupiter sized and similarly is a giant ball of gas. The colour of the planet was discerned using a spectrograph onboard the Hubble space telescope. During an eclipse of the planet light reflected off the atmosphere was found to be blue however as the planet is a gas giant that blue colour is unlikely to be due water. It is thought the blue colour may come from silicon clouds in the atmosphere. Another possibility is light scattering caused by hydrogen in the atmosphere. Blue planet HD 189733b around its host star (artist’s impression) from HubbleESA on Vimeo. Doug Englebart died yesterday in his sleep. Now he may not be as famous as some other major figures in computing but his impact on computing and the way we live now was profound. Basically if you are looking at this or most computer screens these days you are looking at interfaces and concepts he first devised. Basically the WYSIWYG concept of computing, use of the mouse and multi-windowed user interfaces, hyperlinks, video conferencing, multimedia documents, instant messaging, keyword searches... Why not just see the demo he made in 1968 of these concepts, it really did change everything. 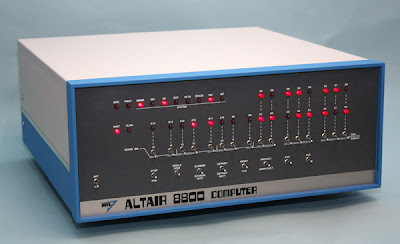 If you want to try out the very start of home computing then a clone of the iconic Altair 8800 is now available! The Altair 8800 emerged in 1975 powered by the Intel 8080 microprocessor (the clone emulates the 8080 which is no longer in production) and sold in the thousands (surprising everyone including the inventors!) Microsoft's first ever product was BASIC for the Altair. I don't think that is included with the clone though you can probably get it from somewhere. The BBC have an interesting article and audio slideshow on the first female cosmonaut (and first civilian in space) Valentina Tereshkova. She is apparently reluctant to say much about her pioneering mission aboard Vostok 6 herself so the BBC reporter goes to her hometown and try and find out more about her. Vostok 6 was the final mission in the programme, the first manned (or womanned) spacecraft. 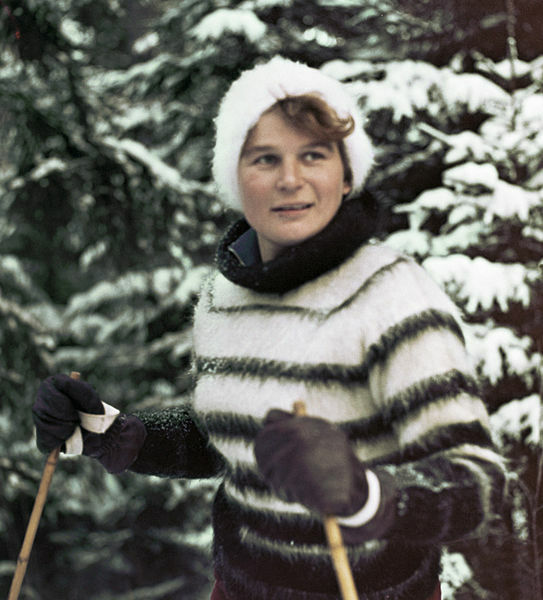 Tereshkova made 48 orbits of the Earth, staying in space for 3 days. Only 6 Apple 1s are thought to be still be working and 1 of those is going to be auctioned for what is expected to be a heap of cash! Last year another working Apple 1 also went up for auction and this video was made of it in action. Update : it sold for $671,000!